Are you looking for space? Interested in establishing your business in Salem? Give us a call (T. 978-744-0004); we can help with both! Entrepreneurs will find that business is booming in Salem thanks to its solid commercial base, pedestrian-friendly downtown, and reasonably priced retail/office space. Located just 16 miles north of downtown Boston, and along the commuter rail, Salem offers direct access to several major routes and is a short commute by train, car or bus to Logan International Airport. Salem businesses enjoy a healthy relationship with the City government, and the Salem Chamber of Commerce is there to assist you. Salem is committed to growing its small businesses, retaining its larger industries, and helping new businesses prosper. Click HERE to download Salem's Business Recruitment Publication. Often, the most difficult part of opening or expanding a business is getting started. 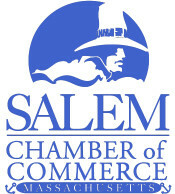 The City of Salem and the Salem Chamber of Commerce are committed to your success. If you have any questions along the way, contact the Economic Development Program Director in the Department of Planning and Community Development (DPCD) at (978) 619-5685. Click HERE to download the “Doing Business in Salem” guide. Zoning – Consult the City of Salem Zoning Ordinance to make sure that your business/property meets the zoning requirements for the site. You may need a permit from the Zoning Board of Appeals. Business Certificate – Most business owners need a Business Certificate, or Doing Business As (d/b/a), from the City Clerk. This certificate allows you to open a commercial bank account and prevents others from using your name. Signage – If your business needs a sign, you will need to apply for a Sign Permit. Depending where your business is located, you may also need approval from one of the City’s review boards through DPCD. This process can take up to 3 months so inquire early to ensure that you can have your sign up by your opening. Federal Tax or Employee Identification Number (EIN) – For tax purposes, you will need to define your business structure and obtain identification numbers from the Internal Revenue Service (IRS) for your business and staff. State Taxes – If you will be selling products that require the collection of sales tax, you must receive a Sales Tax Vendor Number from Massachusetts Department of Revenue (DOR). Legal Structure – Whether incorporating or forming a limited partnership, the MA Corporations Division requires an excise tax and filing fee. Sole proprietors do not require registration, but you should conduct a name check with the MA Secretary of the Commonwealth. Financial and Technical Assistance – The City of Salem is host to a number of dedicated agencies committed to providing quality technical assistance to Salem businesses. In addition, the City of Salem, through the Department of Planning and Community Development, offers direct loan and grant assistance to qualified businesses. Building Permit – If you are doing any construction, you most likely will require a building permit. Salem enjoys a reputation as the heart of Boston’s North Shore. Regional and state offices responsible for business assistance are located right in our backyard. The following agencies are located within Salem and are ready to help you as you move toward your business goals. The City of Salem, through DPCD, offers support to business owners by providing financial resources to expand and grow their business. In addition, DPCD is available to help business and property owners navigate the City’s permitting process and refer them to the wealth of technical assistance agencies located in Salem. DPCD provides financial assistance to local business owners through its Business Loan Program, Storefront Improvement Program, and Tax Increment Financing (TIF) Agreements. For more information on any of these programs, visit www.salem.com. The Small Business Loan Program works to expand financing opportunities for local entrepreneurs, while creating jobs and revitalizing the city’s downtown and eligible neighborhoods. The program provides low-interest loans to qualified entrepreneurs to cover the gap between the amount of financing needed for an economic development project and the amount that conventional lenders can finance. Funds are available for acquisition, construction, or rehabilitation of real property and for financing related to the purchase of equipment, fixtures, inventory, leasehold improvements and working capital. Terms and conditions vary. This program is designed to encourage private investment and reinvestment by new and existing property/business owners. The program allows a one-to-one match for moderate to substantial exterior and/or façade improvements in the designated areas. The match from the city is up to $5,000 for each project. Tax Increment Financing (TIF) Agreements are an economic development tool that gives companies an incentive to improve their property and/or expand their facilities in exchange for the City to exempt the property taxation of a portion of those improvements. In addition, the company will qualify for the State’s 5% Investment Tax Credit and would be exempt from personal property taxes. The company continues to pay taxes on the value of the property prior to the improvements (the “base” tax bill). The program aims to create new, permanent full-time jobs for residents of Massachusetts. Typically projects that qualify for this program will achieve one or more of the following goals: improve the appearance of a blighted property, add to the local tax base, return a vacant building to active use, and stimulate future investment. Salem’s Department of Planning and Community Development (DPCD) (978) 619-5685. The Enterprise Center at Salem State University is both a business incubator where start-up small businesses may lease space in the center's building and a virtual center for North Shore entrepreneurs at every stage of business development. The North Shore CDC offers training and technical assistance to both start-up and existing small businesses through its Advancing Community Business program, Small Business Technical Assistance and Entrepreneurial Training Program. The mission of these programs is to assist low-income, female and minority business owners with business planning, access to financing and training. Salem Main Street's goal is to revitalize downtown Salem as a vibrant year-round retail, dining and cultural destination. The Main Street Four-Point Approach is a comprehensive strategy created by the National Trust for Historic Preservation that is tailored to meet local needs and opportunities. It encompasses work in four distinct areas - Design, Economic Restructuring, Promotion and Organization - that are combined to address all of the commercial districts needs. The Salem State University Small Business Development Center (SBDC) provides free and confidential management counseling and free or low-cost business seminars to help you raise capital or to start or grow your business in Massachusetts. The North Shore Workforce Investment Board (WIB) was established as a concerted effort among business, education and community leaders to strengthen human resource development in a competitive labor market. The WIB overseas the North Shore Career Center of Salem, which is designed to help companies and individuals get available services in the simplest and most efficient manner. These services are provided free of charge.